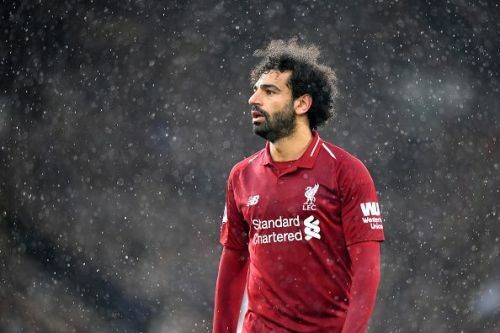 Former Liverpool defender, Jamie Carragher has criticized Mohamed Salah for being 'selfish and greedy' for his display against Fulham. According to the former Red, the Egyptian must look up for a pass at times and not go all by himself. Mohammed Salah is nothing short of a revelation for Liverpool since joining from AS Roma in the Summer transfer window of 2017, as he has already scored 49 goals in just 67 league games for the Reds. The Egyptian finished as the top goalscorer in the Premier League last season and also won the PFA Player of the Season award for his exploits. The 26-year-old is in a decent form this season as well, having registered 17 goals and seven assists in 31 league games thus far this campaign. However, he has looked out of touch in the last few games and failed to find the back of the net in his last five Premier League outings - his longest dry spell in a Liverpool shirt. He received a lot of stick for not converting easy chances and was also criticized for his reluctance to pass the ball at times. The former Liverpool defender, Jamie Carragher, slammed Mohamed Salah for his reluctance to pass the ball to other players in front of goal at times. “He has been selfish and greedy, no doubt. His record for Liverpool has been outstanding in the Premier League – scoring and creating goals. Nobody has been involved in more goals this season. “He’s not just form man in the Premier League, he’s the form man in Europe. I’ve been saying from the start of this game: there’s far too much space in wide areas and Liverpool have exploited it. Liverpool are scheduled to play Tottenham Hotspur and Southampton in the league next, before hosting FC Porto at Anfield for the first leg of the Champions League quarter-finals on April 10.